The Apple TV has been neglected for quite a while, and is quite possibly the longest current device that hasn’t seen a refresh in Apple’s product lines. Yesterday, Apple let us know that the Apple TV still in-fact exists, and has been doing well. While there was no hardware refresh announced, Apple did discuss their recent exclusive deal with HBO. For all users with an Apple TV, you can try out the new HBO standalone service for free for 1 month. If you end up loving it (who doesn’t love Game of Thrones, Silicone Valley, and all the other magic produced by HBO), you can subscribe to the HBO service for $14.99 per month without having an HBO subscription with your current TV service provider, if you have one at all. Apple also announced a surprising price-drop in the Apple TV reducing the current price from $99 down to $69. It’s not often that we see Apple dropping the price on current products, but it’s much appreciated for those who haven’t purchased an Apple TV as yet. If you haven’t heard yet, Apple announced a new MacBook. Not a MacBook Air (Editor’s Note: aka the one we all wanted! ), not a MacBook Pro, but a MacBook. The last time we heard about the MacBook was the plastic white version that was discontinued a couple years ago, and now Apple has resurrected that product line with a beautiful fully metal MacBook. One major change on the new MacBook is the decision to move away from the MagSafe chargers that Apple is known for, and moving towards a USB-Type C multi-use port. Other than the USB-Type C port, the only other port you’re given is a 3.5mm headphone jack on the opposite side. The new MacBook will have a 12” Retina-Display, and will be available in 3 different colors. You’re probably thinking why in the world you would want a colored MacBook, but the colors and elegant and stay neutral for the most part. The available options will include the stock silver similar to the MacBook Air and MacBook Pro, a space grey option similar to the iPhone 6 / 6 Plus, and a gold option that’s just a bit darker than the iPhone 6 champagne color. The new MacBook features a 12” Retina-Display with a resolution of 2304×1440 (16:10 aspect ratio, 1440p). Underneath the aluminum body, all of the components are soldered to a single logic board, surrounded by several contoured battery sheets. On the Logic Board, you’ll have an option of a 1.1GHz or 1.2GHz Intel Core-M processor on the base models, but you can do a custom configuration up to 1.3GHz. In the RAM department, you’re only given an option of 8GB of 1600MHz DDR3 with no upgrades. Lastly, for storage you’re given a 256GB SSD on the lower end model, and a 512GB SSD on the more expensive model. The two baseline models come in at $1299 and $1599, with the only differences being a 0.1GHz in the processor, and a larger SSD. For users who are looking for a new MacBook to watch Netflix, check emails, and browse the internet, this would be a great machine for you. It’s lightweight (only 2 lbs! ), is very compact, and super portable. If you’re looking to use several USB devices like a keyboard, mouse, speakers, printers, etc. this is not the device for you. First off, the MacBook doesn’t have a single normal USB port, so in order to connect a USB 2.0/3.0 device, you’ll need to purchase an adapter from Apple, which starts at $19 and can range up to $80. If you’re looking to dual-boot Windows via Parallels or VM Ware, this is not the device for you. With a power-saving Core-M processor and the fanless MacBook design, you’re going to have a tough time trying to run Windows, especially if you’re wanting to run both OS X and Windows at the same time. The most anticipated device from the Apple event was definitely the launch of the new Apple Watch. We saw a preview of the Apple Watch at an Apple keynote last year, but it was only a glimpse of much more that was revealed yesterday. The Apple Watch has 3 different variations with 2 sizes of each variation. There is the Apple Watch Sport, which is made of lightweight aluminum and an Ion-X glass screen with an entry price of $349. The regular edition of the Apple Watch comes with a stainless steel frame with a crystal sapphire screen and a large selection of different watchbands starting at $549. Lastly, the Apple Watch Edition is an 18K Gold limited edition with a crystal sapphire screen starting at $10,000. Yes, you read that right, $10,000 for an Apple Watch made of gold, and that’s the cheapest of the Edition watches. All of the internals for all of the models are identical with the only differences being the build material, watchband, and size. The two available sizes are 38mm and 42mm (diagonal). The Apple Watch, similar to other smart-watches currently on the market connects to your phone via Bluetooth and can do several tasks without forcing you to pull out your phone. You can receive and respond to emails, texts, and even phone calls. You can call an Uber. You can draw pictures and send them to other Apple Watches. You can check your heart rate and count your steps. You can open your garage. You can make payments via Apple Pay. You can even check the time. Honestly, I don’t know what this watch can’t do, but all of these features are reflected in the price, which might be the biggest turnoff to many consumers. The big question is why would someone want to dish out a ton of money for a watch, when they can do the same things on their phone. It seems like this was the major question that Apple was trying to avoid. Apple showed off a ton of features, but didn’t really convince anyone on why they should be paying between $349 and $17,000 (for the most expensive Apple Watch Edition) for a watch that adds hardly any useful features that an iPhone 6 can’t already do. From the Apple keynote yesterday, it’s easy to tell that Apple is re-establishing itself as the “luxury” brand that it is. Do people need a $1500 notebook that has no expandability without purchasing additional adapters? No way, but are they still going to sell millions of MacBooks? The obvious answer is yes. Do people need a $10,000+ watch that tells the time with an abundance of gimmicky features? No, but are they going to sell them? You bet. The average consumer isn’t going to drop 10 grand on a watch, but celebrities and the more wealthy consumers will buy them for a status symbol. 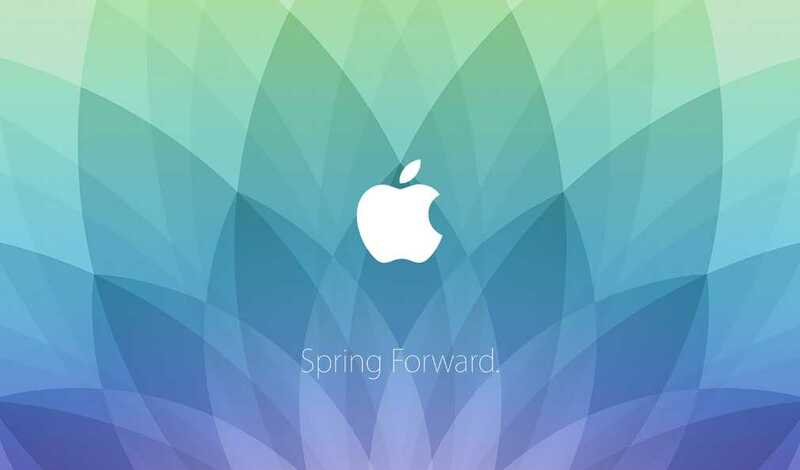 What do you think about the latest Apple announcements from the Spring Forward keynote? I’m interested to know what you think of the new MacBook, Apple Watch, and reduced price of the Apple TV. Alex Wolfe is an Accounting/Information Systems major at Texas a Tech University. When he's not busy with school, he enjoys playing outside with his dog and gaming on Xbox One. He has a huge interest in mobile devices and future technology. I think it was a smart move for apple to take down the price of the apple tv even though it hasn’t gotten a hardware update the fact that they are going to reduce the price will allow them to compete more with ROKU 3(price point 89[also brought down their price]) then the money your saving buying an apple tv you can now get 2 months of HBO streaming. I know i’m going to get an apple tv now the price dropped. Don’t forget about the free month of HBO that was included with the deal between Apple and HBO.